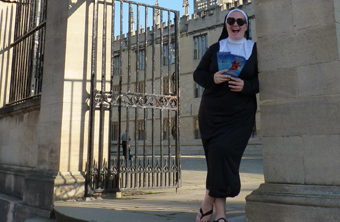 Win tickets to see Sister Act at the New Theatre, Oxford by nunspotting! This competition is now closed. Congratulations to the winners: Geoff Bannister, Lee Churchill, Charlotte Irving, Max Higgs & Sophie Campbell! 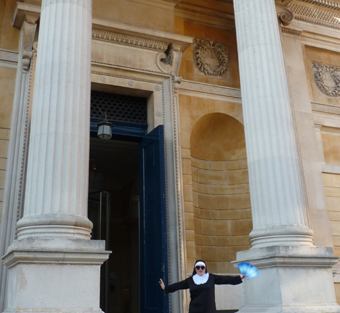 From the 18th to the 26th October, acclaimed musical Sister Act comes to the New Theatre, Oxford! 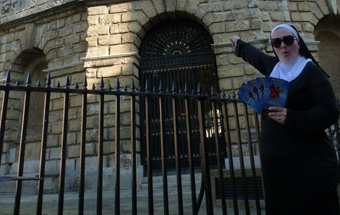 Heading off a West End run where it was seen by more than a million people, this feel-good, family-friendly show is sure to be a hit- and Daily Info offers you a chance to win free tickets by spotting renegade nuns around Oxford. We have 5 pairs of tickets to give away to the people who can identify the place where each of the photographs below was taken. This competition will close at noon on Monday 17th October.